Successful managers seek out, build, and maintain effective relationships with others. Managers who derail or are otherwise sidelined during their careers often mishandle interpersonal relationships. One common problem related to relationships is unresolved conflict with a boss or showing unprofessional behavior related to a disagreement with upper management. 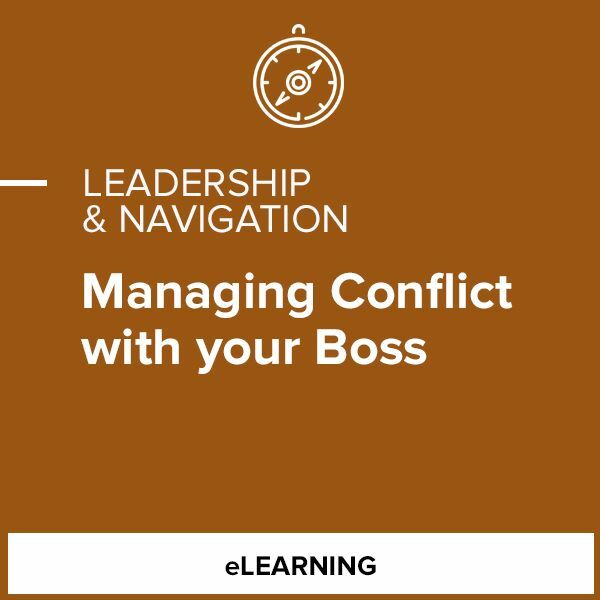 Effectively managing conflict with your boss can energize you, helping you increase your effort, air your feelings, and stimulate critical thinking, creativity, and innovations. It leads to better decision making and exposes key issues that need to be addressed, helping you avoid future conflict. On the other hand, mishandling a conflict leads to negative consequences, such as decreased productivity, communication, and cooperation; increased negative feelings and stress; and a poisoned work environment.